The following is a 6-week climb cycle dedicated to increasing strength and power for rock climbers. This program can be used at a rock gym or home climbing gym with basic equipment. It combines the use of four training apparatus: technical/system board, boulder problems, campus boards and HIT strips alone and in combination. Almost every aspect of the plan is individualized based on an assessment you’ll do during the first session. This write-up is detailed. It’s conveying to you how a system of training works. Take time to learn the system. Once you do, understanding the daily sessions will be a breeze. Plus, more importantly, you’ll be able to do this program again and again, and it will still be as hard as it was the first time. The system allows the plan to always meet you where you’re at so that it will never become easier, you’ll just become stronger. 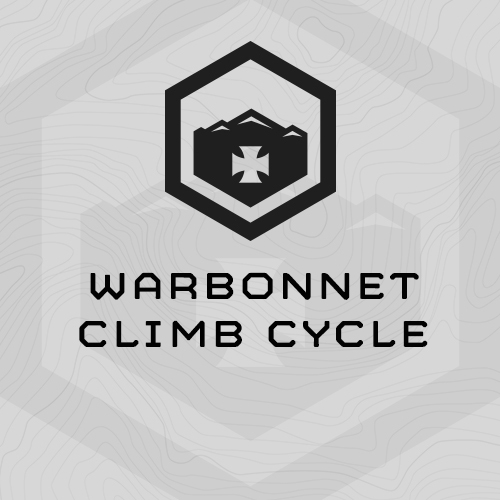 Let’s say you train through this plan this year, and go and climb for most of the season, but then suffer some injury along the way that prevents you from training and climbing. When you finally heal up enough to train again, you may be weaker than before, but that’s ok. This plan will still work for you considering the system always scales it to your current ability. On the other hand, you may climb all season and come into the off-season stronger. In that case, the system will still scale to you. It works whether you’re a 5.7 climber or 5.12 climber. Perform this program when you have 6 weeks to dedicate to training without worrying about performance. It’s very intense, and even at about an hour a session, it’ll most likely be all you need to do for training. You’ll need the required equipment (below) as well as proper landing mats to catch falls. This program can be done at most rock climbing gyms (with provided substitutions) or on personal climbing equipment (Moon board, homemade technical/system board). You’ll need a variety of holds or differing difficulty so that you can classify them according to the table below. You’ll need sloping holds of some sort in close vertical proximity. We use 4” PVC pipe with non-skid tape for grip. It’s cheap, easy, and effective. Technique, System, or Moon climbing board with various holds of different difficulty. Boulder problems made either on your climbing board or on an actual bouldering wall. Sloping holds like ribs, bolle, woody or composite slopers, or PVC pipe with non-skid tape (12” long).